Hue in one day may not be long enough if you want to visit and learn history of a city but do not worry, we got that all figured out. One day in Hue should be enough to get the highlights of this historical and calm city that was once the capital of Vietnam during the reign of the Nguyen dynasty – the last royal family of Vietnam. When you hear about a dynasty that reigned a country for more than a year, what comes to your mind? Citadel? Forbidden city? Royal tombs? Food perhaps? Hue got it all. 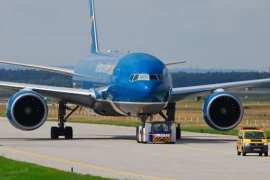 You’ll see and experience all of them in 1 day in Hue. There are 2 famous tombs in the city. Allegedly, one tomb is made for an acclaimed emperor and the other for a criticized one due to their political stance on French power. Minh Mang Tomb is the biggest and considered as the most majestic of all of the royal tombs to honor the man that believed to have opposed and resisted to be a puppet of the French government. 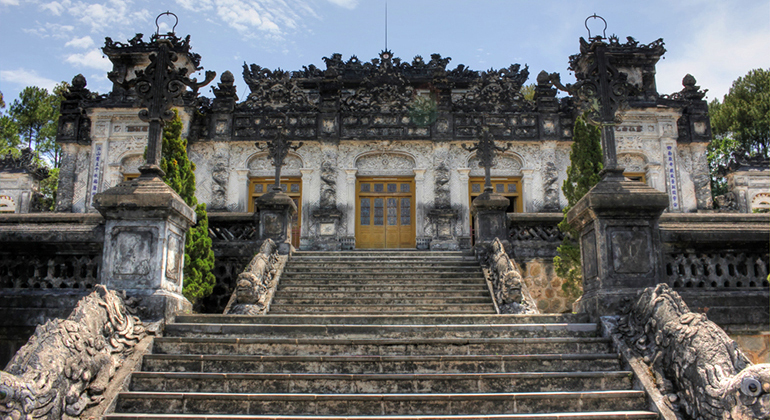 Minh Mang tomb is renowned for its bold Asian architecture that harmoniously blends with its natural surroundings. 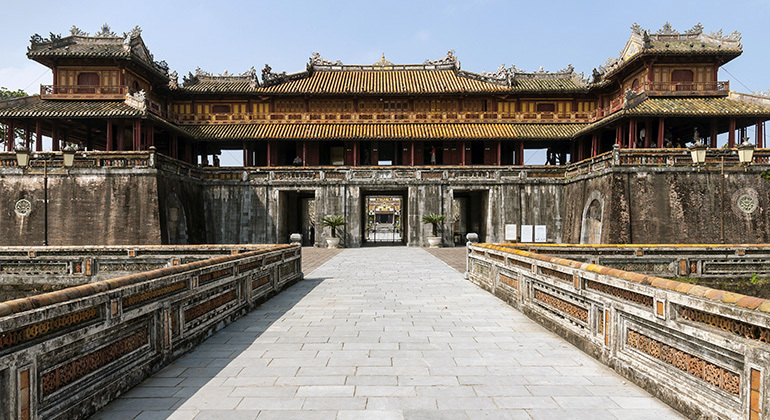 A perfect fusion between Western and Eastern architecture to represent where Emperor Khai Dinh stand during his reign, he specifically made his tomb as it is. Khai Dinh tomb is not as huge as all the other emperor’s royal tombs, but it is the most detailed and decorated one you’ll ever see. What is a citadel without its imperial city? 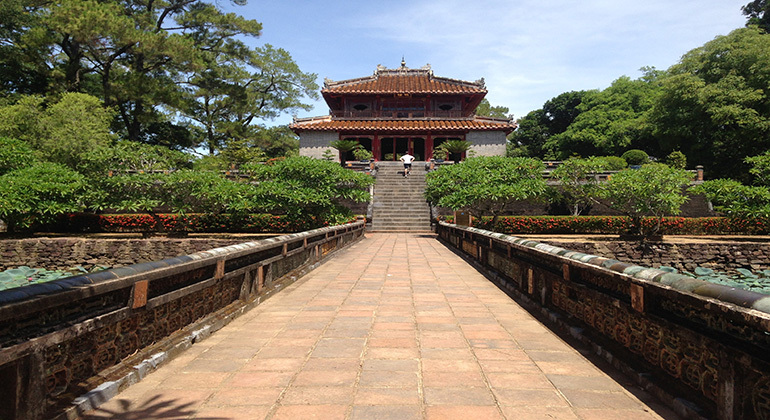 Imperial city is the home to the last dynasty that ruled over Vietnam – the Nguyen Dynasty. The walled palace still stands until today, with mostly all its architecture intact. 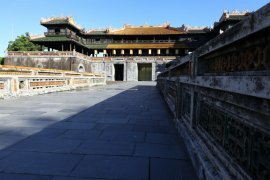 Walk through the massive halls, royal courtyards and gardens’ design and architecture. 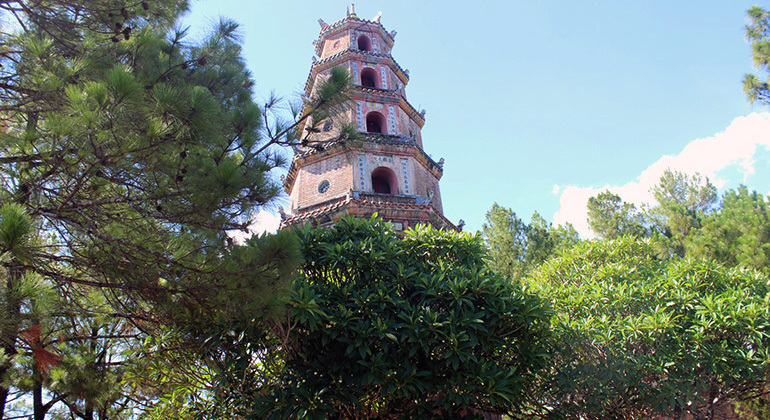 It would be nice to see the oldest pagoda in the Hue, Thien Mu Pagoda. This pagoda was erected to praise the Heavenly Lady who according to the legend descended and foretold that a lord would come, build a pagoda on the hill and pray for the country’s prosperity. This prophecy was made come true by the last Nguyen lord and the first Nguyen emperor, Gia Long. These are the must see places in Hue, but do not forget the food. 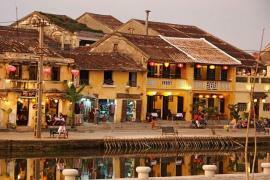 Hue was not dubbed as the gastronomic city of Vietnam for no reason. 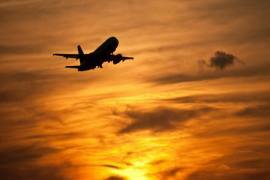 You can take the Hue airport to city center transfer to discover Hue in one day.